This stunning Holkham Summerhouse was recently selected from our range of FSC® certified timber summerhouses by a customer based in Stoke-on-Trent, Staffordshire. Measuring 3.0 x 4.2m, the building was both delivered and installed by our in-house installations team who ensured everything was perfect before leaving. This large timber Greenhouse was recently installed for a customer based in Stoke-on-Trent, Staffordshire. With 4mm toughened safety glass and FSC® certified Scandinavian Redwood timber, the building was selected by the customer from our vast range of Garden Buildings before being both delivered and installed by our team of in-house fitters. A customer recently selected this stunning FSC® certified Scandinavian Redwood timber building from our range of Garden Studios. Designed and hand-made at our Norfolk factory, the studio was then delivered and installed by our in-house fitting team who ensured everything was perfect before leaving the premises. The building was ordered by a customer based in Cannock, Staffordshire. One of our practical and attractive timber Garages was recently installed for a customer based in Tamworth, Staffordshire. Selected from our range of stunning FSC® certified Scandinavian Redwood timber buildings, it was both delivered and installed by our in-house installations team. This handsome Garden Shed was recently installed for a customer based in Norton Canes, Staffordshire who needed some extra external storage space for a property development project. As with all our superior quality FSC® certified timber buildings, the shed was designed and hand-built in Norfolk before being both delivered and installed by our in-house fitting team. 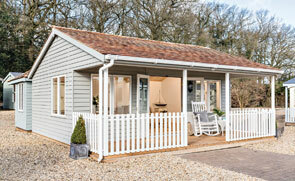 One of our National Trust Garden Sheds was recently installed for a customer based in Weeford, Staffordshire. Designed and hand-made at our Norfolk factory using only FSC® certified timber, the shed is a traditional and characterful choice and was both delivered and installed by our in-house team of expert fitters. One of our high-quality timber Garden Sheds was recently installed by our in-house fitting team for a customer based in Blithfield, Staffordshire. Measuring 1.8 x 2.4m, the shed was designed and hand-built at our factory in Norfolk and was made using only expert craftsmanship and the finest FSC® certified Scandinavian Redwood timber. One of our attractive Holkham Summerhouses was recently installed for a customer based in Eccleshall, Staffordshire, who chose us to supply their dream timber garden building after seeing that delivery and installation by our in-house team of expert fitters was included as standard. The wooden Summerhouse was designed and hand-built at our Norfolk factory using only expert craftsmanship and FSC® certified Scandinavian Redwood timber. Our stunning range of Victoria Greenhouses are designed and handcrafted at our factory in Norfolk using only expert craftsmanship and FSC® certified Scandinavian Redwood timber. Available in various dimensions, this building measures 2.4 x 3.0m and is one of the larger sizes of Greenhouses available. This stunning, bespoke garden building was recently installed for a customer based in Tutbury, Staffordshire. 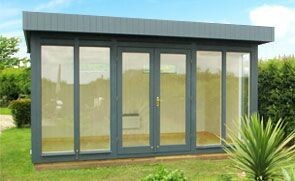 Selected by the customer from our range of Garden Studios, the building was designed and hand-built at our factory in Norfolk before being assembled at the customer’s address by our in-house installations team. Benefitting from the free delivery and installation, the studio was hand-made using only FSC® certified Scandinavian Redwood timber. One of our attractive FSC® certified Scandinavian Redwood timber Garden Sheds was recently installed for a customer based in Haughton, Staffordshire. Designed and hand-built by our expert team of in-house fitters, the shed measures a generous 3.0 x 4.8m and boasts a security pack for additional peace of mind. One of our Superior Sheds was recently designed and hand-crafted at our Norfolk factory before being delivered and installed by our in-house fitting team for a customer based in Audley, Staffordshire. Made using FSC® certified Scandinavian Redwood timber and expert craftsmanship, it is the ideal bespoke option. Hand-built by expert craftsmen at our Norfolk factory using only FSC® certified timber, our Garden Sheds offer a wide range of high-quality products with an array of customisable options. All of our buildings are then both delivered and installed by our in-house fitting team who ensure that everything is perfect before leaving the premises. One of our attractive Superior Sheds was recently installed for a customer based in Barton-under-Needwood, Staffordshire. Selected from our range of high-quality Garden Sheds, the building was designed and hand-built in Norfolk before being both delivered and installed by our expert, in-house fitting team. This charming Superior Shed was installed earlier this year for a customer based in Abbots Bromley, Staffordshire. Measuring 1.8 x 2.4m, the compact building was designed and hand-built by expert craftsmen at our Norfolk factory before being both delivered and installed by our in-house fitting team. One of our stunning Classic Sheds was installed earlier this year for a customer based in Keele, Staffordshire, as a compact and convenient storage solution for gardening equipment and the like. Selected from our range of FSC® certified timber Garden Sheds, the building measures 1.8 x 2.4m and was designed and hand-built in Norfolk before being both delivered and installed at the customers’ address by our in-house fitting team. Selected from our stunning National Trust range of sheds and summerhouses, this Felbrigg Garden Shed is made entirely from FSC® certified timber and was delivered to a customer based in Rocester, Staffordshire. Designed and built by hand at our Norfolk factory, the shed was both delivered and installed by our expert, in-house fitting team who ensured everything was perfect before leaving the premises. This compact and convenient classic shed was recently designed and hand-built at our factory in Norfolk using only the finest FSC® certified timber, before being both delivered and installed by our in-house, expert fitting team at the customer’s address in Cheddleton, Staffordshire. Measuring 2.4 x 2.4m, this attractive Superior Shed was hand-built at our factory in Norfolk before being both delivered and installed by our expert, in-house fitting team at the customer’s address in Wombourne, Staffordshire. One of our incredibly attractive Langham Studios was recently installed for a customer based in Leek, Staffordshire. Selected from our high-quality range of FSC® certified timber Garden Studios, the Langham was designed and hand-built in Norfolk before being both delivered and installed by our expert, in-house fitting team. One of our charming Oxburgh National Trust sheds was recently installed for a customer based in Fazeley, Staffordshire. Designed and built by hand at our Norfolk factory using only the finest FSC® certified timber, the building was then delivered and installed by our expert, in-house fitting team. This attractive Classic Garden shed was recently installed for a customer based in Kinver, Staffordshire. Selected from our vast range of FSC® certified timber buildings, the shed was designed and hand-built at our Norfolk factory before being delivered and installed by our expert, in-house fitting team. This contemporary and attractive Holkham Summerhouse was recently installed for a customer based in Stafford, Staffordshire. Selected from our range of FSC® certified timber buildings, the Holkham was designed and hand-built at our Norfolk factory before being delivered and installed by our expert team of in-house fitters. One of our charming National Trust garden sheds was recently installed for a customer based in Kidsgrove, Staffordshire. Selected from our range of FSC® certified timber buildings inspired by the characterful properties of the National Trust, this Blickling shed was designed and hand-built at our Norfolk factory, before being delivered and installed by our expert, in-house fitting team. One of our contemporary and attractive Superior Sheds was recently delivered and installed by our expert in-house fitting team for a customer based in Burntwood, Staffordshire. Designed and hand-built at our Norfolk factory, the building was selected from our range of FSC® certified timber garden sheds. This large Classic Shed was recently installed for a customer based in Stone, Staffordshire. Measuring 2.4 x 2.4m, the building was designed and hand-crafted at our Norfolk factory before being delivered and installed by our expert fitting team, who ensured everything was perfect before leaving the premises. This attractive Superior Shed was recently delivered for a customer based in Bidduph, Staffordshire, who wanted an attractive shed to sit alongside their flourishing vegetable bed. Measuring 1.8 x 2.4m, the shed was designed and built at our Norfolk factory before being delivered and installed by our expert, in-house fitting team. One of our stunning Superior Sheds was recently installed for a customer based in Penkridge, Staffordshire. Selected by the customer from our range of high-quality, FSC® certified timber Garden Sheds, the building was both delivered and installed by our expert, in-house fitting team. One of our Classic Sheds was recently installed for a customer based in Eccleshall, Staffordshire. Measuring 1.2 x 1.8m, the building was designed and hand-built at our Norfolk factory using only the finest FSC® certified timber before being delivered and installed by our expert, in-house fitting team. One of our functional and attractive Superior Sheds was recently installed for a customer based in Rugeley, Staffordshire. Designed and hand-built at our Norfolk factory, the building was both delivered and installed by our expert team of in-house fitters. One of our stylish Superior Sheds was recently installed for a customer based in Cheadle, Staffordshire. Designed and built at our Norfolk factory, the shed was fabricated using entirely FSC® certified timber and expert craftsmanship. This charming Felbrigg Shed from our National Trust collection of Sheds and Summerhouses was recently installed for a customer based in Newcastle-under-Lyme, Staffordshire. Just like all of our other FSC® certified timber buildings, the shed was designed and hand-built at our Norfolk HQ before being both delivered and installed by our in-house fitting team. 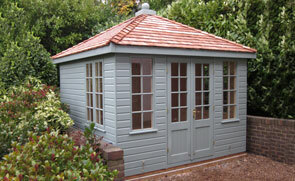 This delightful Morston Summerhouse was recently installed for a customer based in Newcastle-Under-Lyme, Staffordshire. As with all of our FSC® certified timber buildings, it was designed and hand-built at our Norfolk HQ before being both delivered and installed by our expert, in-house fitting team. 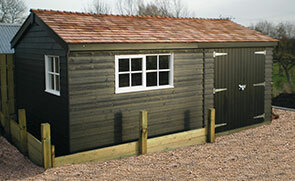 This attractive Superior Shed was recently installed for a customer based in Stafford, Staffordshire. Designed and hand-built at our factory in Norfolk, the shed was then both delivered and installed by our expert team of in-house fitters as part of the exceptional Crane service.